Earn additional revenue for your radio station by running ads on your players and mobile apps with our Programmatic Advertising Delivery Network. We provide ads to listeners worldwide. We have partnered with the top US and International ad providers to ensure you're getting the highest CPMs along with 100% fill rate wherever you have listeners. 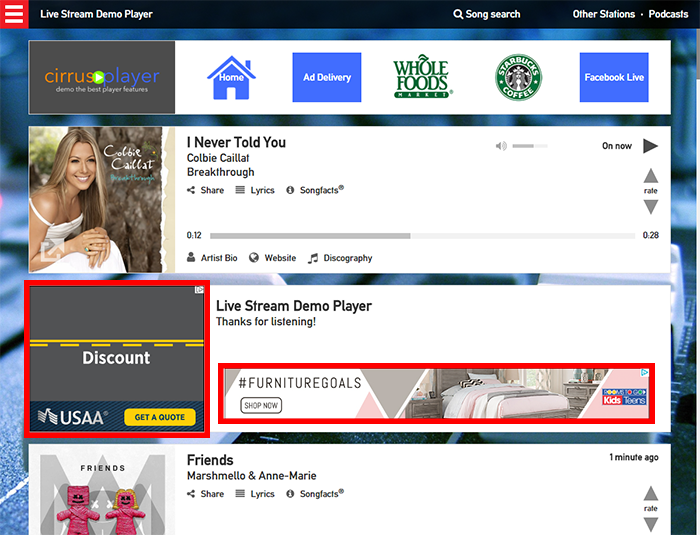 The ads are geo-targeted, so your listeners will see ads relevant to their location. 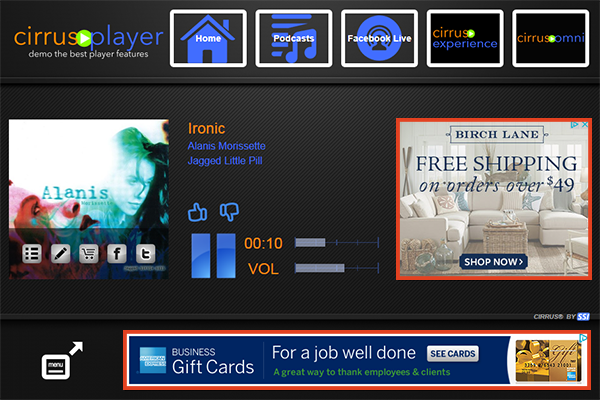 When you choose to turn your ad inventory over to our Ad Delivery Network, your players will display IAB standard, family-friendly banner ads to all of your listeners. We also offer free ad replacement and insertion for commercial breaks. These spots are filled with audio ads when your station goes to commercial breaks. To participate in our Ad Delivery Network, all you have to do is choose the selection in your ad settings. We then take care of the rest, and you get a check from the aggregate split on all ads run across your players and apps. You can also run your own ad campaigns for your local advertisers and sponsors, and fill the rest of the schedule automatically from our Network. This gives you the best of both worlds... you can sell player time to local advertisers, and still not miss out on revenue from our Network.